How do you successfully capture customer advocacy? What do you need to consider for referral marketing success? You should consider the referral marketing journey, as a funnel, much like the customer journey funnel of your other new acquisition channels. At the beginning of the funnel are all the customers who have purchased from you. At the end of the funnel are your lovely new referred customers. A great referral programme will ensure each step of the funnel is optimised to deliver the maximum number of referrals. Customer satisfaction: do you deliver a product / service that warrants a referral? Demographics: how do your customers like to communicate? Discounting environment: how does the offer compare to current offers? This really is key to a truly successful referral programme. Social risk and social capital are key drivers as to whether a referral is ever made. Referral should be promoted at the point of greatest customer delight. Often directly after purchase is made, but this will differ by product. Firstly you need to tell your customers about your referral program. You should communicate with them at the greatest point of customer delight. This is often at the point where the customer has made their purchase or experienced your service. We recommend starting with a few touch points at the beginning of the program and then increasing promotion as you learn what works best with your customers. Give your customers the tools that enable them to share with ease. This will differ depending on the demographics of your brand. Email is an obvious method. But there are an ever growing number of social channels which appeal to different consumer segments. Our clients can choose from the x channels depending on which work best for their customers. In addition, we have developed our unique “share by name” functionality. 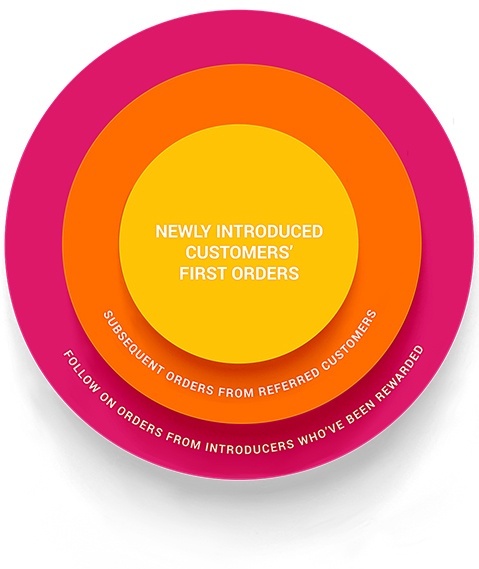 As referral often takes place in natural conversations, this enables customers to just use their name to claim their introductory offer. The ultimate frictionless experience. Experiment with which sharing channels work best for your brand. Although only one element of a referral program, the incentive can have a big impact, so it is important to test to find which reward resonates best with your customers. Testing might sound easy, but ensuring different cohorts of customers receive consistent offer messaging is more complicated than it sounds, especially when the final redemption of the offer may be some months later. 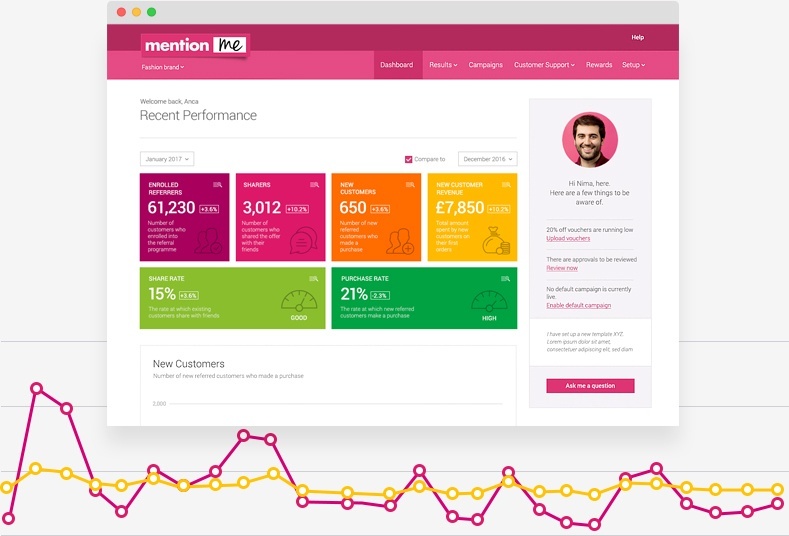 A referral marketing platform with AB testing by cohort is key to maximising results. As well as testing the type of incentive, you’ll also find how the rewards are split between the referring customer and their friend can make a big difference. Does displaying the referrer offer first, or giving them a bigger reward work better than a more generous offer to their friend? Psychology is at play here, and you’ll only discover what works for your brand through testing. 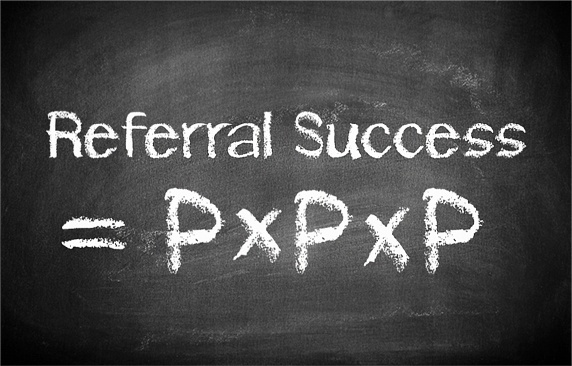 We share some great referral experiments to try here. A good referral platform will enable you to track referral in action. Who has made referrals and what offer did they receive? Which combination of incentive and promotional placement works best? 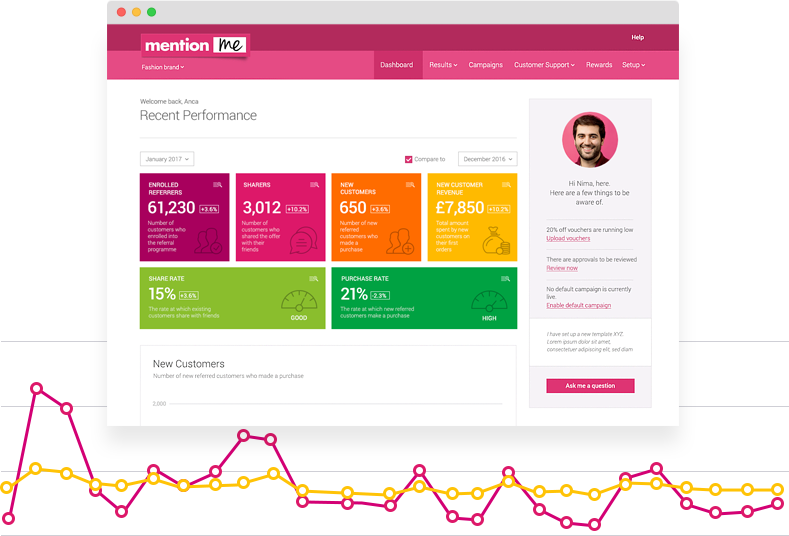 Our client portal gives you all that data at your fingertips, so you can easily make changes and improvements to optimise your programme. At the end of the day, most companies will measure the success or failure of the refer-a-friend program on the basis of the ROI. We work on a CPA basis which means you can work out your ROI upfront and feel confident that referrals will be a cost effective customer acquisition tool. We find that that referred customers are much more valuable and have a higher LTV. That’s referral marketing in action. Capturing & encouraging advocacy, measuring it and rewarding the action turns a conversation into a referral program. We work with brands big and small to capture these conversations.